No need to sacrifice healthy eating to satisfy that sweet tooth! 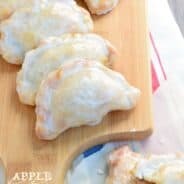 I’ve got over 50 ideas for your next sweets craving that won’t make you break out the stretchy pants! When you enjoy baking, it’s always good to have some ‘skinny’ alternatives. 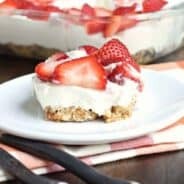 I’ve never tried any baked recipes that are better for you but there are a few on this list that I like the look of and many well give a try. Thanks! Thanks Becca & Aimee for including my Skinny 100-Calorie Chocolate Peanut Butter Snack Mix! You have a great compilation here – perfect for all those Resolutions! 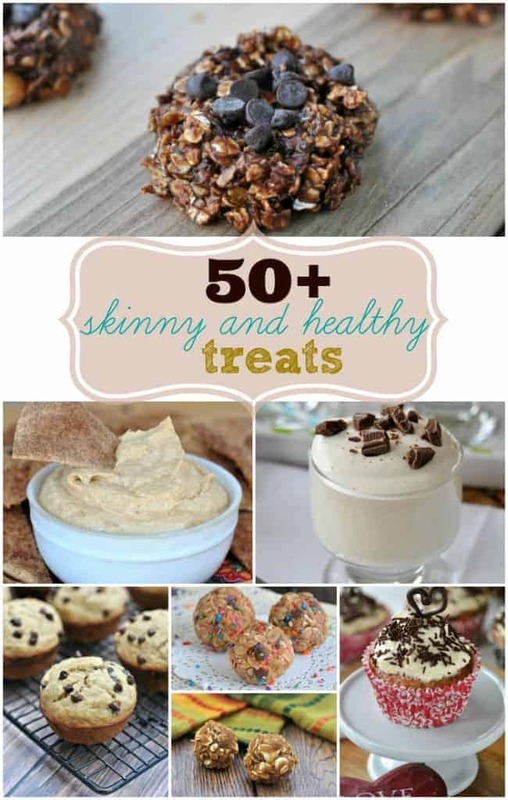 Love this collection of skinny treats!! 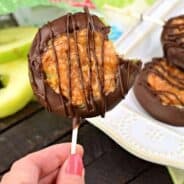 I am always looking for healthier snack ideas that still satisfy my cravings! Skinny baking is perfect this time of year! 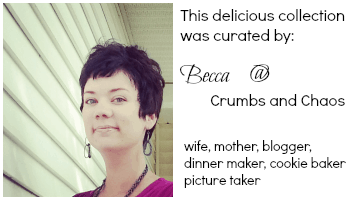 Thanks for including us in this tasty round up! I am so in need of these skinny sweets right now. My husband and I usually continue the holiday bad habits till after his Jan. birthday. Well, that’s past now and it’s time to get back on the healthy track. Now….. which one to make first? You sure don’t make it easy. They all look so delicious. So many choices, so little time!!! ENJOY. I’m all over that easy lemon ice cream and banana split in a jar! Genius! I’ll take two of everything on this list girl! Love this little round up…everything looks deeeeeevine..and it’s skinny? Yes puhlease! What a fantastic collection of guilt-free desserts! Thank you for sharing1 I want some of that Frozen Hot Chocolate! Yum! Oh I know, that frozen hot cocoa is on my mind too!!! if i eat all the skinny treats in one sitting, are they still “skinny”? 😉 I bet they still are…. Oh wow, what a list! They all look so decadent, I’d never guess they’re skinny!